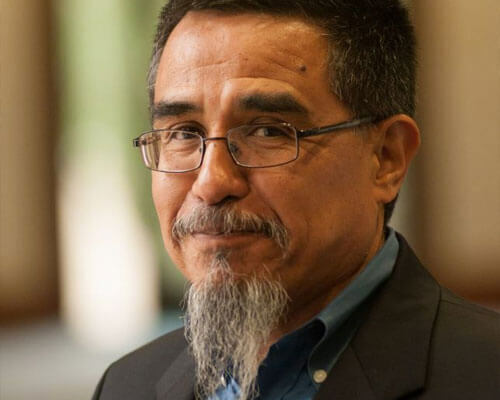 Home » Academics » Schools » College of Arts, Humanities and Social Sciences » Faculty » Arturo Vega, Ph.D.
Arturo Vega, Ph.D., welcomed the opportunity to come back to his alma mater and be part of a bigger mission. A lifelong student of politics, Vega completed congressional fellowships with the American Political Science Association and the Carl Albert Congressional Research Center at the University of Oklahoma. He was also a legislative assistant to former Texas state senator Frank Madla Jr.
Vega hopes his students become lifelong learners of why politics matter. As members of the civic community, he hopes that students will become effective creators of – as Aristotle called it – a good life, characterized by legal and social justice. When he’s not in the classroom, Vega can be found researching and writing for his next book on San Antonio politics – discussing American political development, the difficulty of Latino elected officials to truly represent Latino urban needs and the dominance of a political economy. “A Latino Scorecard for Higher Education: A Focus on Texas Universities.” With Ruben O.Martinez. Journal of Hispanic Higher Education. Jan 2012, Vol. 11 Issue 1, p41-54. “Social Capital and Social Integration: The Case of the Barrio in San Antonio, Texas.” 2009. with Juanita Firestone, Richard Harris, and Ruben Martinez. Journal of Public Management and Social Policy 15 (Spring) 1. “’I Don’t See Color, I Just Vote for the Best Candidate’: The Persistence of Ethnic Polarized Voting” Chapter 6, with Sylvia Manzano in Urban Agency. Rodolfo Rosales and Sharon Navarro. Editors. University of North Texas Press. Forthcoming. “Cosas Politicas: Latino Political Views by Region,” with Rubén Martinez and Tia Stevens in Latinos in the Midwest . 2012. Michigan State University Press. “Changing the National Ethos, or Just Being American? Latin@ Political Participation,” with Sylvia Manzano in Inside the Latin@ Experience. 2010. Norma Cantu and Maria Franquiz editors; Palgrave Macmillan Publishers.